The Million Dollar Steinway, A Prince’s Love Piano & The Green Chi Art Case Steinway M are being performed on by BOOGIE STOMP! 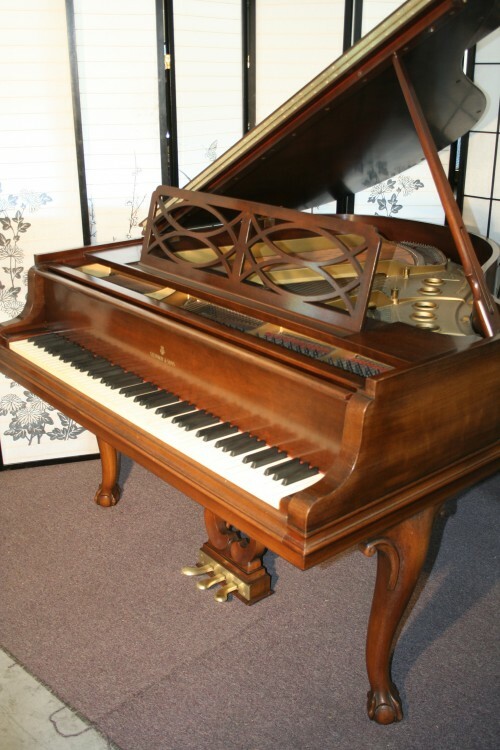 Beautiful Art Case Steinway Baby Grand Model S 5’1″ “Chippendale Style” Art Case Mahogany Steinway Piano made in 1939. New Steinway hammers & shanks recently put on, all else excellent condition original Steinway parts including beautiful ivory keys. Case just received a French Polish which is several coats of hand applied padding lacquer which evens out the sheen and brings out the beautiful grain. Action just regulated, hammers just voiced. Beautiful warm sublime Steinway rich tone and responsive action. 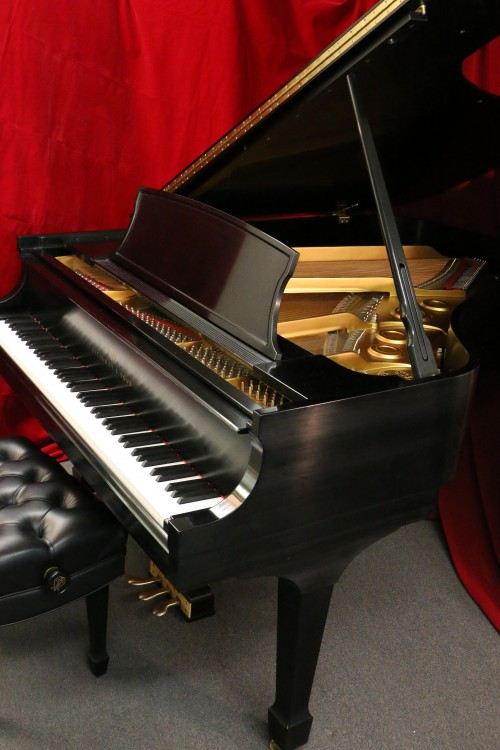 Magnificent Art Case Steinway Concert Grand Piano Model C 7’5″ Exotic flame, mahogany. Victorian Style Case, legs, lyre, music desk. 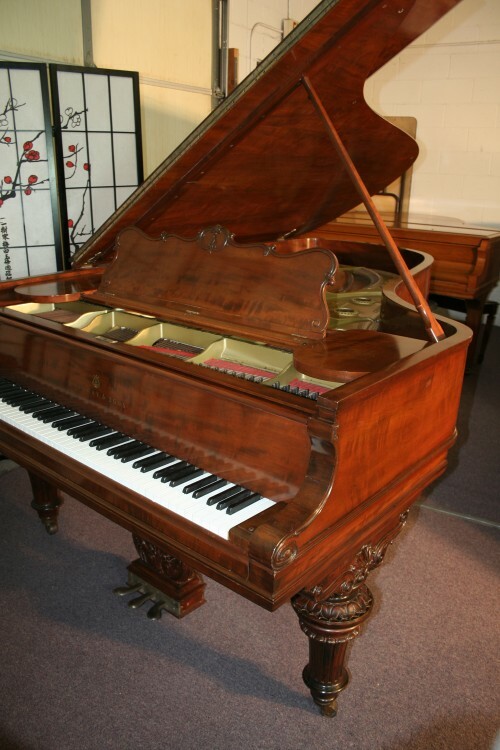 Made in 1902 but refinished and rebuilt about 30 years ago, including a new finish, new hammers/shanks/flanges/knuckles/back checks, new wippens strings and dampers, new pins, bushings, punchings, new key tops. All Steinway parts. Action was just regulated, hammers voiced and case was given an French Polish so it looks and plays great. 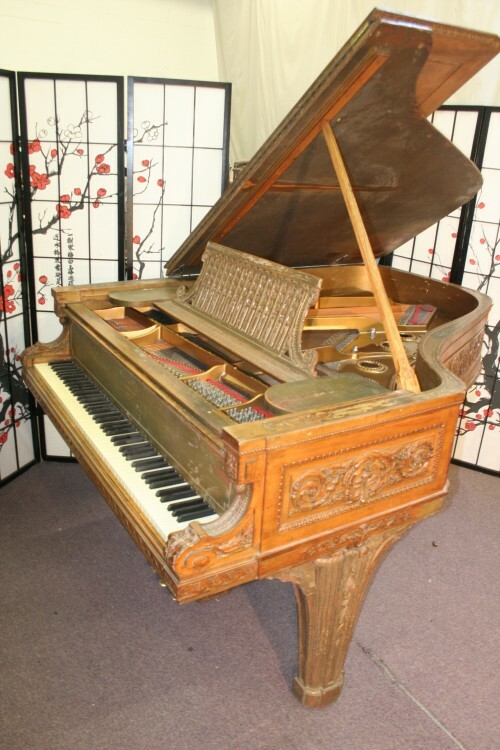 King Louis XVI Steinway Model A Grand Piano made in 1904. Rebuilt in 2004 but not refinished yet. 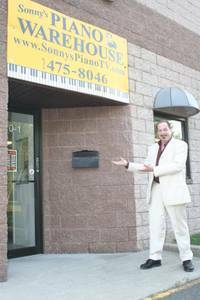 This piano is currently for sale at Sonny’s Pianos and can be sold as is or can be custom refinished to the specifications of the buyer. WE ALSO SPECIALIZE IN WORLDWIDE DELIVERY! We ship worldwide! China, Australia, Russia, Canada, Brazil, Mexico, Japan, Saudi Arabia, Qatar, United Arab Emirates, Singapore, Norway, Luxembourg, Moscow, South Africa, Kuwait and the rest of the world!